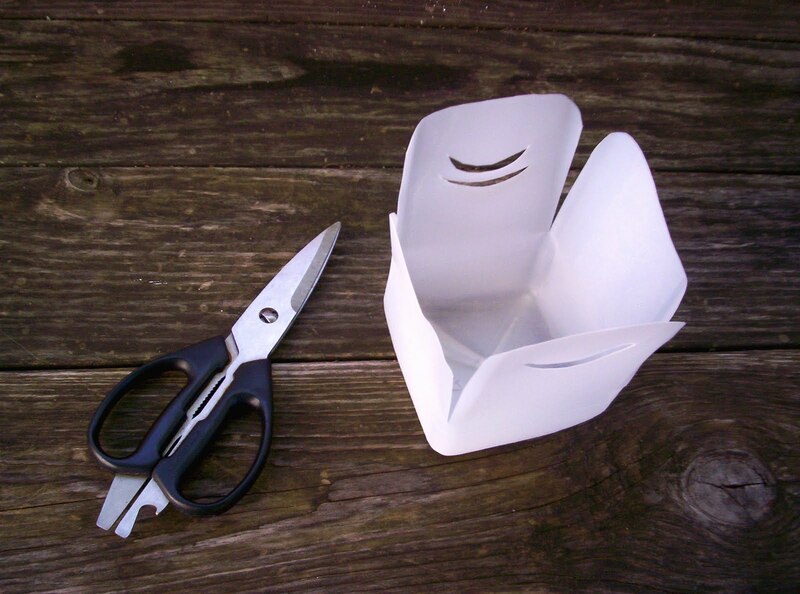 Did you know that you can recycle a plastic milk jug into a reusable sandwich box? 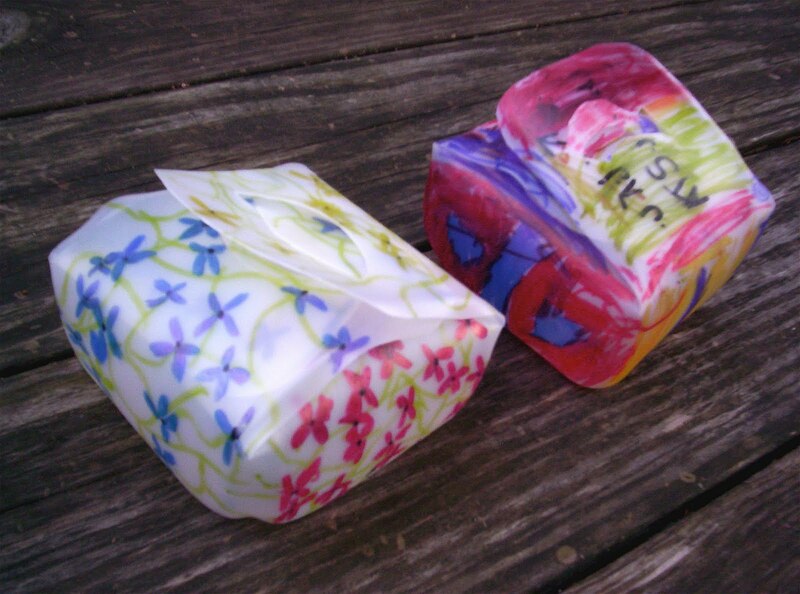 You can bid baggies farewell after making and decorating these cute containers for lunch boxes or lovely autumn picnics. Wash and rinse plastic milk jug/s. Cut off top 1/3 of jug and set aside for recycling bin. 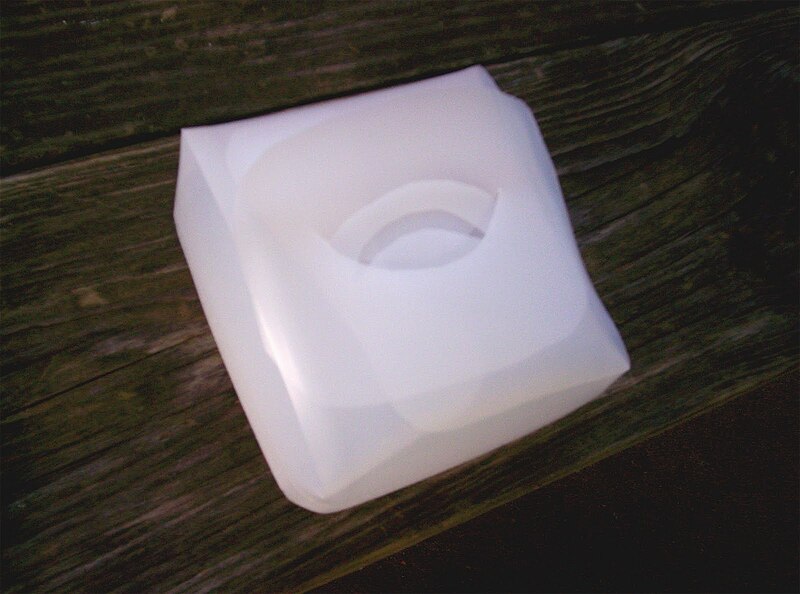 Take the bottom portion of the jug and cut a slit down each of the four corners, stopping about 2 inches from the bottom. Trim edges to form smooth curves on the corner of each flap. Fold flaps down and overlap to form a box. Use a marker or crayon to draw curves on the top 2 flaps where the closure will be. Cut a curved slit on the two top flaps. Check to see that the curved flaps overlap to form a snug closure. If necessary, cut a second curved slit to create a tighter fit (but be careful not to tear the plastic). Use colored permanent markers to decorate each sandwich box. Allow marker to dry. Open sandwich box, insert an appropriate size of sandwich or snack; close box until ready to open and enjoy the food inside. I first came across the idea of making a sandwich box through Money Saving Mom in this link list. We enjoyed making the sandwich box project our own by adding color and simplifying the materials list a bit. My daughters really enjoyed getting to add their own designs to the boxes and can't wait to bring them to the lunch table! I am also planning to decorate one myself to use in my husband's lunch bag. looks neat - can't wait to try it! visiting from abc&123! Thanks, I wanted to find some of these without a velcro closure. This is the one! What a cool idea! I am going to try this right now! I love that you don't need any other materials! I will be showing our primary school kids how to make these to use at our canteen. My 5 year old saw the cut off tops of the bottles & turned them into hand puppets too. 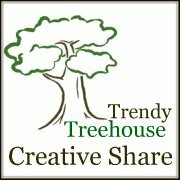 Almost NO waste with this project.